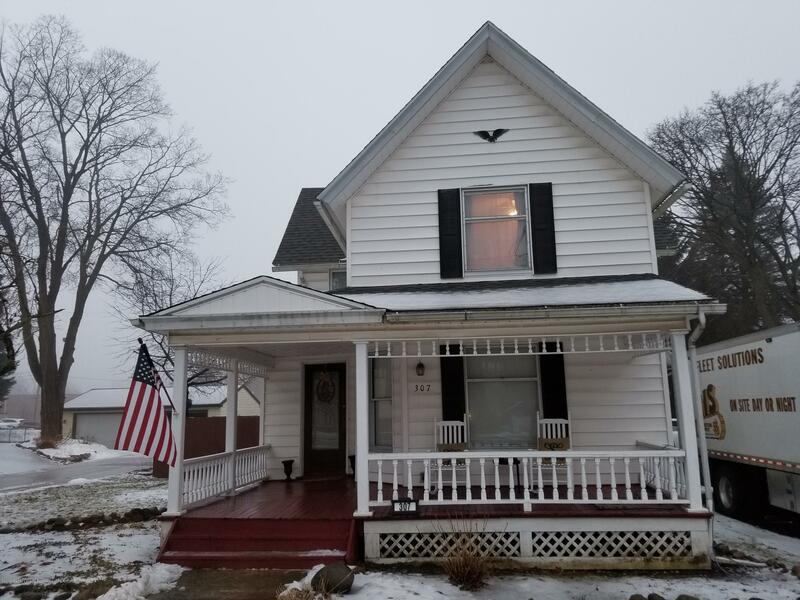 Welcome to 307 W. Main in DeWitt, MI. Vintage turn of the century gem conveniently located in downtown Dewitt. Enjoy the welcoming ''lemonade'' front porch, perfect for spending time reading or interacting with your neighbors. Clean and crisp black and white facade. Classic warm and inviting details including original wood floors, doors, ceiling beams and wood trim throughout. Impressive expansive bathroom boasts charming double sink vanity, oversized mirror and newer lighting fixtures. Additional features include kitchen with island with seating that includes double sink, wet bar, abundance of cabinetry, sleek glass top stove and easy care tile flooring. The upper level includes a multi purpose landing area perfect for a work or play area as well as three spacious bedrooms.